The first time I tried to watch Diary of the Dead (2007), I had to turn it off after ten minutes (for reasons I’ll come to in a bit)… but this time I was determined to see it through to the end. For those who don’t know, Diary is the fifth film in George A. Romero’s highly acclaimed series of satirical zombie flicks… although it’s not meant to be seen as a direct sequel to his previous movies, but more of a “rejigging of the myth” (whatever that means). The story follows a bunch of young film-students, who happen to be making their own horror movie out in the woods when news of the zombie apocalypse first breaks. Fearing for their families, they all hop into a camper van and set off on a road trip, hoping to return to their homes and avoid the gathering hoards of flesh-eating undead. So far, so familiar… but the big difference here is that the whole thing is shot from the hand-held perspective of the students themselves, Blair Witch Project style. As a fan of that seminal movie, I would argue that it made reasonable sense for the characters to keep filming, because they were lost together in the wilderness, being haunted by an unseen supernatural force, and they didn’t really have much else to do besides document everything that happened around them in the hopes that it would all make more sense when they got back to civilisation. They had explicitly set out with the intention to make a documentary about the Blair Witch legend, and that’s what they did… it gave them a purpose… a reason to keep going. Here, on the other hand, there are much more important and pressing things the protagonists could be doing with their hands, besides schlepping camera equipment around… such as fighting off zombies, hiding supplies from sneaky scavengers, and comforting their grieving friends, for example. In Blair Witch, the camera was their only “weapon” against invisible foes, and creeping insanity… whereas in Diary, they have actual weapons to use against visible, physical threats. So, for me, it seemed far less plausible that someone would keep filming, regardless… especially when it required them to wait around a zombie-infested hospital ward, while their camera battery recharged! Another point in Blair Witch’s favour is that there was no “script” as such… it was mostly improvised on the fly, with the unknown actors camping out in the woods, while the film-makers ran around in the darkness, making freaky noises and constructing creepy artefacts to scare the crap out of their beleaguered cast for reals. Whereas here, there are sub-par Scream-style jokes about genre clichés, and meta-textual digs at other zombie movies, in between the heavy-handed observations about modern media trends, and cheesy banter. Don’t get me wrong, I’m a big fan of Romero’s original Dead trilogy, and I admire/envy the way he weaves so much social-commentary into his movies… but there’s just something about the way his characters interact here that comes off as slightly dated. His dialogue and direction certainly doesn’t suit the faux-documentary-style, that’s for sure… and it takes a lot of the fun out of the gory sight-gags too, since you’re stuck with such restrictive angles on all the action sequences. 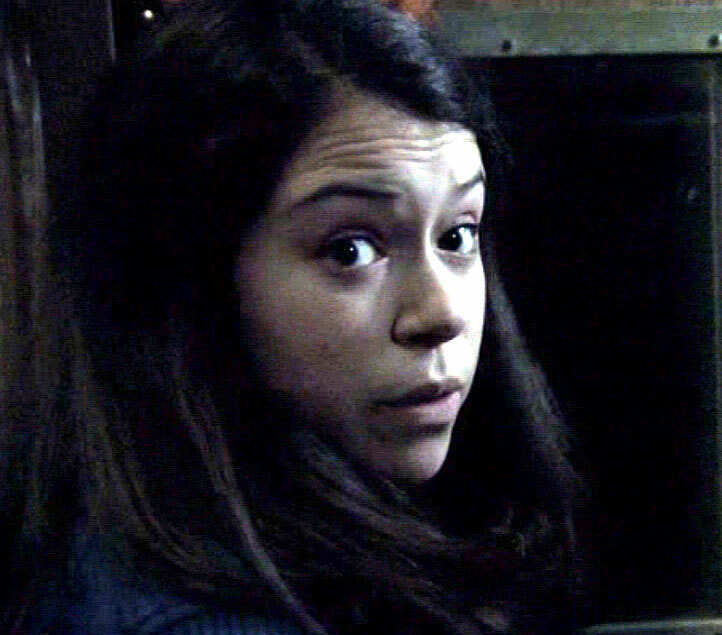 I can’t say any characters or cast members really stood out for me, since they were all fairly annoying, in their own unique way… but I feel obliged to give a shout-out to Tatiana Maslany, who plays ‘Mary Dexter’, the original owner/driver of the RV they escape in, simply because she was such a hoot as ‘Ghost’ in Ginger Snaps 2: Unleashed. 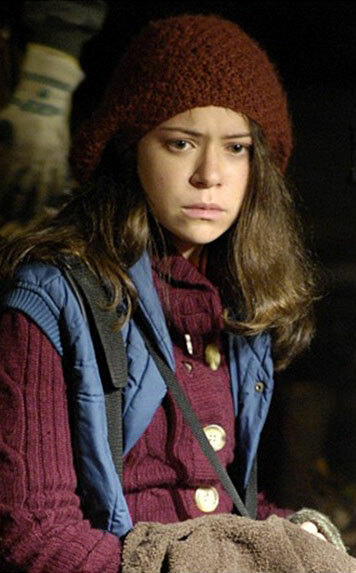 She doesn’t get any lines in her first scene (at the fictional film-shoot), but we do get to hear a little more from her as the students set off on their road trip. Sadly she turns out to be the “red shirt” of their party though, so it’s not exactly a great showcase for her. This entry was posted in Rants about Films and tagged Diary of the Dead, Tatiana Maslany, The Blair Witch Project. Bookmark the permalink. 3 Responses to Zombies, Camera, Action!